The Franklin Farmer’s Market is held behind the Factory at Franklin — 230 Franklin Road at the corner of Franklin Road and Liberty Pike. It’s open Saturdays from 8:00 a.m. to 1:00 p.m. each May through October. If you are looking for something to help entertain your active child on a rainy day, look no further. 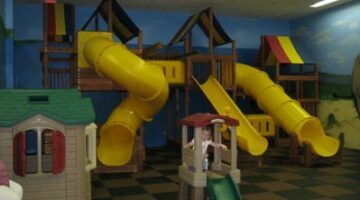 The Rainbow Play Systems Party Room is a nice replacement for playing in the soggy backyard. Glow Galaxy: Glow In The Dark Fun For Kids Birthday Parties & Open Play! 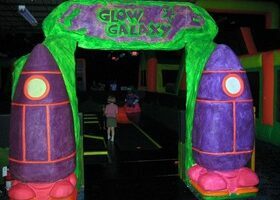 Glow Galaxy is a glow-in-the-dark play place for kids in Cool Springs. We’ve been there twice now for birthday parties, and they sure are fun! The unassuming storefront of Learning Express Toys is nestled in between the Verizon store and Subway in Cool Springs. It’s quite a gem inside! A great place for parents and kids alike!